The Municipal Corporation of Greater Mumbai’s (MCGM) presented the budget for the FY 2017-18 which have highlighted current state of financial management. A report released by Janaagraha Centre for Citizenship and Democracy has provided an outline of the financial statements of the MCGM. 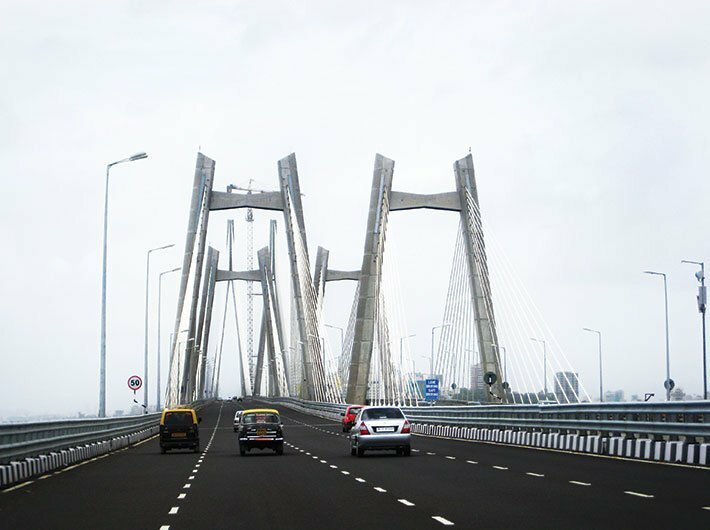 - Many capital projects undertaken by the corporation have been delayed regardless of being the richest municipality in India with a budget size of Rs 394 billion (buget estimate) while also having sufficient funds (Rs 236 billion). 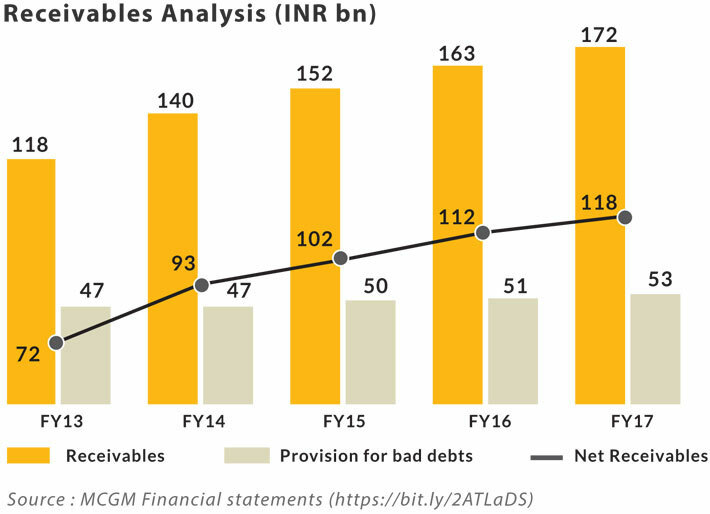 - The total income earned by the MCGM declined marginally from RS 271 crores in FY 2016 to Rs 268 crores in FY 2017 due to lower premium income from fungible FSI and staircase and lift premium charges, the report said. 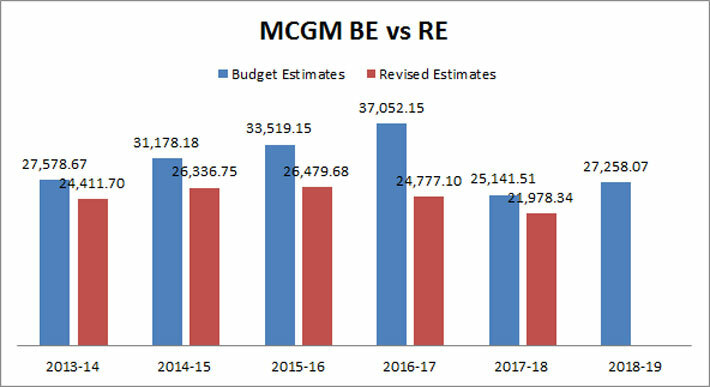 - The expenditure made by MCGM was also marginally higher in FY17 at Rs 212 crores as compared to Rs 205 crores which were led primarily by operations and maintenance cost as well as administrative expenses. - The corporation has outstanding receivables (gross) of around Rs 171.6 billion comprising mainly of receivable towards property tax, water and sewerage tax etc. Provision coverage towards bad and doubtful debts declined from around 40 percent in FY13 to 31 percent in FY17. - The corporation lags in timely execution of projects, leading to slow conversion of CWIP into fixed assets. 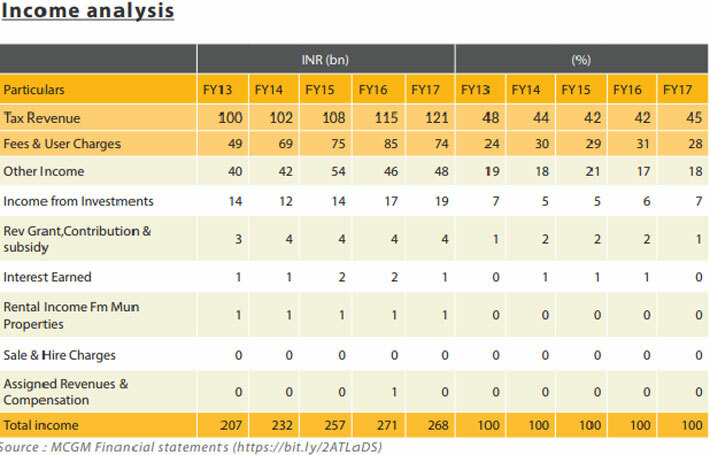 During FY13-17, it capitalised fixed assets (gross) of Rs 106 billion against CWIP of INR170bn as at FY13. CWIP stood at Rs 243 billion (around 22 percent of total assets) at FY17 end. - Investments in fixed deposits (general fund) jumped from Rs 107 billion in FY13 to Rs 236 billion (approx. 20 percent of total assets) in FY17. MCGM has fixed deposits (excluding earmarked funds for pension & provident fund) of approx. Rs 511 billion, representing approx. 42 percent of total assets.